Lower back pain is one of the most common problems people have. This pain can be mild or become so intense that it makes it difficult to get anything accomplished. The best part about relieving lower back pain is that it does not have to take long. You can complete these 7 stretches in just 7 minutes and get on with your day. Your back will feel better and you will be able to go on with your day. For this exercise lay flat on your back on the floor. Pull one leg up straight to stretch out the hamstring. Hold for 30 seconds and then repeat with the other leg. Sit on the floor and put your feet together. Hold on to your ankles. Hold this position for 30 seconds, take a 10 second break and then hold for 30 more seconds. While lying flat on your back on the floor bring your knee to your chest and hold for 30 seconds. Repeat the exercise with the other leg. While lying on your back, cross one leg over the other and hold. Keep your back straight on the floor while crossing your leg over. Hold the position for 30 seconds and then repeat on the other side. Lie on your back and bring up one leg to a 90 degree angle. Bring the other leg up and cross it over your raised leg. Hold this position for 30 seconds and then switch legs. The easiest way to think about this stretch is like you are sitting in a chair with your legs crossed, only lying on your back on the floor. Lie down on the floor on one side and pull your top leg up towards your back. Hold the position for 30 seconds and then turn over and do the same stretch on your other side. Put one leg forward and bend down. The back leg should be straight out behind you. Hold for 30 seconds and then repeat on the other side. 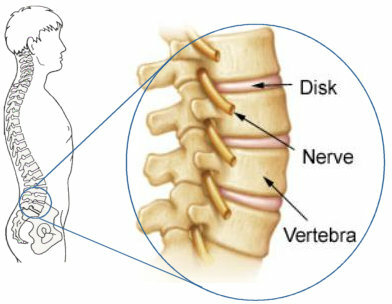 There are many different causes of lower back pain. One of the most common is a sedentary lifestyle. Doing these stretches can help strengthen your back and reduce the amount of pain that you have in your lower back. You can learn more about lower back pain and how to relieve it by watching this video. There are many issues that may arise with your lower back. If you are struggling with the pain and these stretches do not help, you should seek medical help for your problem. Previous articleIs your gut leaking?